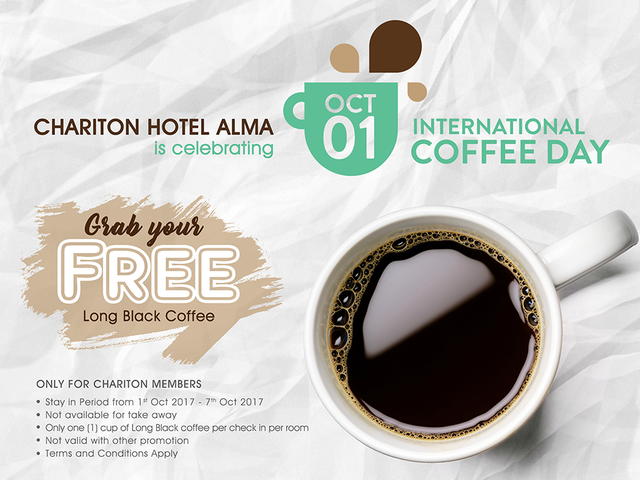 Chariton Hotel Alma is celebrating International Coffee Day ! Wake up and smell the coffee for International Coffee Day! International Coffee Day falls on October 1st every year. To every Chariton Hotel Alma members, we are celebrating the well loved beverage in a whole week. Grab your FREE long black coffee in every single check in.